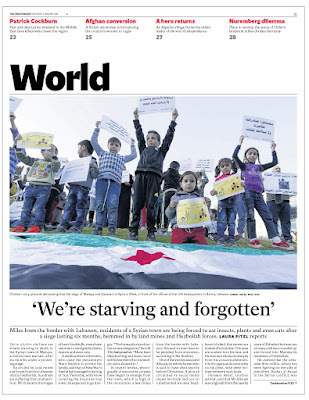 SubScribe: Starvation in Syria: how did it take us so long? How can it be that in all the saturation coverage of the migration from Syria, the debates about air strikes and the brutality of Isis, it has taken until now for the plight of the besieged people of Madaya to reach our consciousness? The Times splash headline seems odd. "Outcry over..." You'd think the mere fact of thousands of people at risk of starving to death would be enough for a splash. But it is needed because that fact was in the paper yesterday - at the foot of the opening world spread. It was in the Guardian, too. At the bottom of the second foreign spread. The Telegraph picked up on it today and put it on page 12. This flurry coincides with extensive BBC television news coverage yesterday, including pictures of emaciated children and footage of a man making leaf soup, and a UN announcement that the Assad government was to allow aid through. The difficulties of getting news from towns such as Madaya might explain our ignorance of this situation apart from one thing: Laura Pitel reported on it for the Independent a week ago. 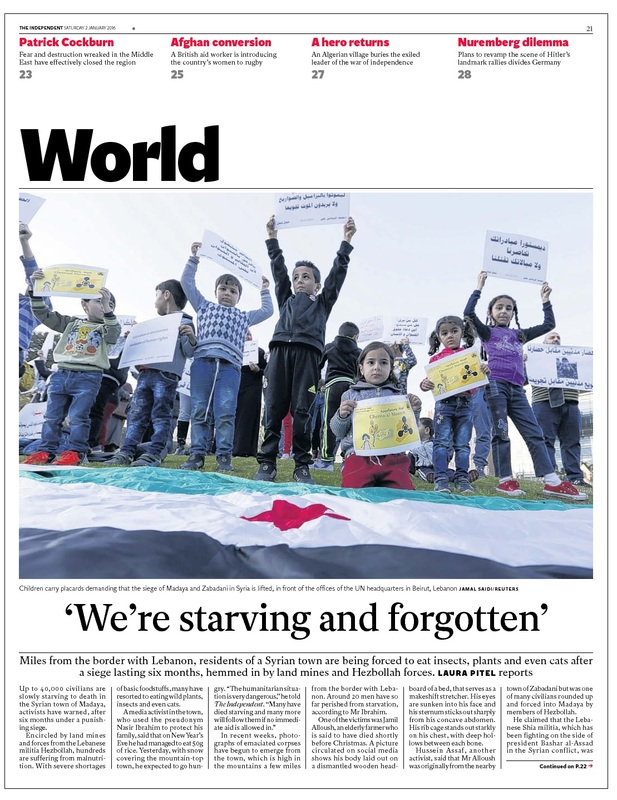 Her story led the paper's world section, accompanied by a photograph of children demonstrating outside the UN building in Beirut a few miles away. The splash that day was British troops facing abuse charges over the war in Iraq. The UN has many failings and it may be that it hasn't made enough noise about the sieges of Syria (Madaya is not the only stricken town). Or maybe we, as Western journalists, haven't been listening. Maybe we think our readers won't care. Because that is the big problem with news judgments these days: newspapers tend to give prominence only to stories they think readers care about. When challenged about the disparity in coverage of terrorist attacks in Paris and Beirut, papers were quick to say "We covered Beirut, but people didn't care." 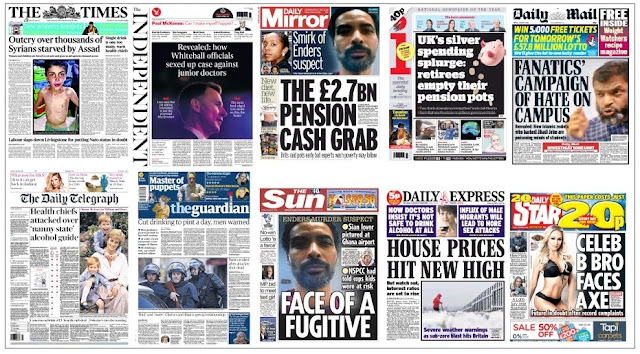 There is a lot of fantastic journalism on newspapers' inside pages, but foreign stories tend to break through to the front only on the tails of television coverage. Even the H-bomb tests in North Korea made page one of only the Guardian and Telegraph (where it got five pars) yesterday. It's a tricky one. 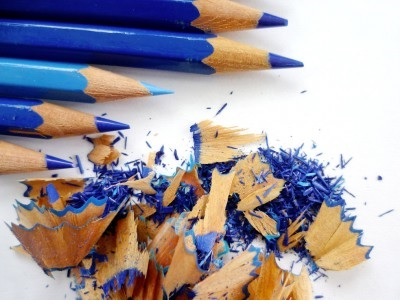 What's the point of printing stories no one will read, stories that might actually turn them away from your product? 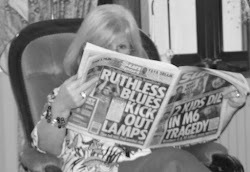 Newspapers are commercial enterprises, they have to sell to survive, and now that there are so many algorithms to tell editors exactly what people are reading on their tablets or mobiles, it is tempting to follow the Mail online model and feed the known appetites. But isn't that like giving the kids fish fingers because you know they like them and never offering something more challenging, but ultimately more satisfying, such as liver or kippers? So hurrah for the The Times for looking beyond the direct interests of its readers. People in Syria drinking leaf soup matter more than people in the Home Counties drinking a pint a day. Postscript Good to see "proper" journalism, too, from the Independent and Mail, whatever your opinion of the politics behind their lead stories. Was it right for Keogh's letter to the BMA about the junior doctors' strike to be passed up to Jeremy Hunt - who is, after all, his ultimate boss - for approval? Is it really a scandal? After all, he agreed with the changes made and the inserted paragraph was a restatement of something he had actually said. Should we be surprised that politicians try to manipulate situations? That's what they do. It's an interesting topic, especially in the light of the furore over Laura Kuenssburg and the resignation of foreign affairs spokesman Stephen Doughty from the Shadow Cabinet. The BBC political editor is being accused of manipulating/manufacturing the news, rather than reporting on it, because she apparently persuaded Doughty to announce his resignation in a live interview just before Prime Minister's Questions. Was this political bias, designed to help Cameron and embarrass Corbyn? Seems unlikely to me, given that the Beeb is supposed to be a hotbed of lefties. If she had convinced a wavering shadow minister to resign when he wasn't going to, that would be another matter. But there is no suggestion that that is what happened. I'd have thought that any broadcaster that got wind of such a resignation would have sought to capitalise by trying to get a scoop and then time its release for maximum impact. But critics say that because the BBC is publicly funded, it must be impartial (see above) and not chase ratings. But if it doesn't compete with rivals to prove its coverage is best, then people will seek out other news sources. And then critics (not necessarily the same ones) will say "Why are we paying for this stuff no one watches?"